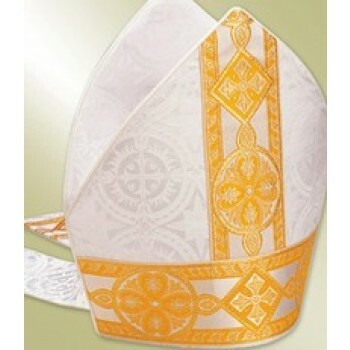 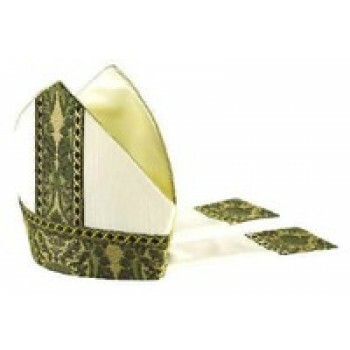 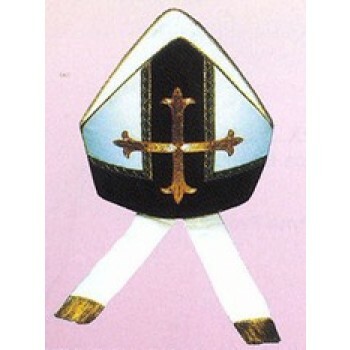 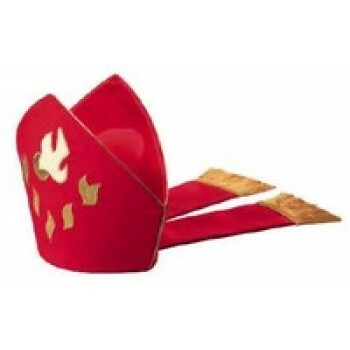 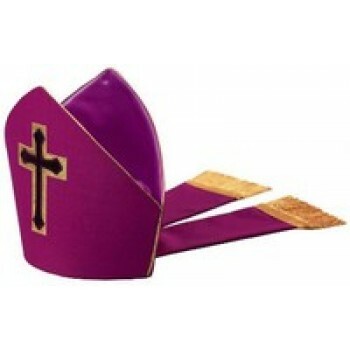 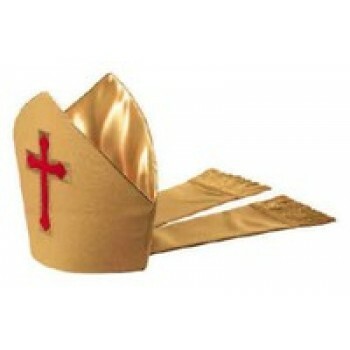 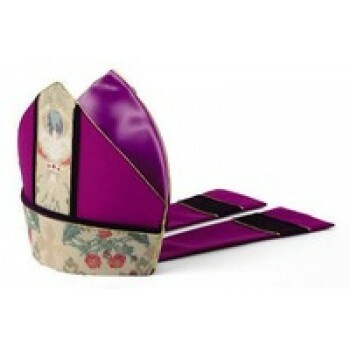 A mitre is a type of headpiece that is traditionally worn by bishops and certain abbots in Roman Catholic, Anglican and Eastern Orthodox churches. 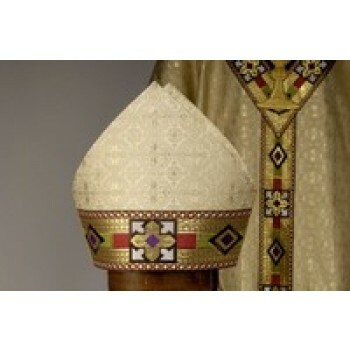 The hat consists of 2 pointed pieces of material that are sewn together on the sides to achieve a similar flat and pointed appearance when viewed from the front or the back. 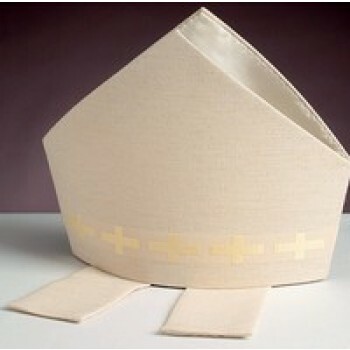 The hat also includes a wide band that extends over the wearer's forehead. 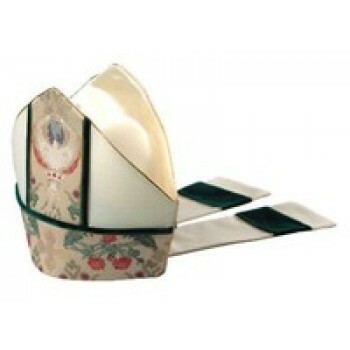 Traditionally, 2 short lappets hang down from the back of the headpiece, though this detail may be omitted in certain modern designs. 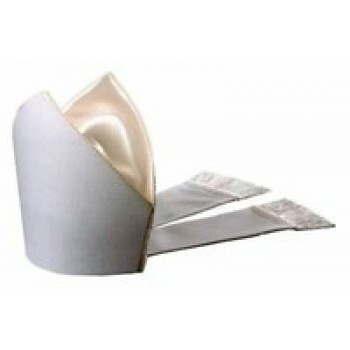 Matthew F. Sheehan carries a larges election of mitres to choose from in several styles and colors. 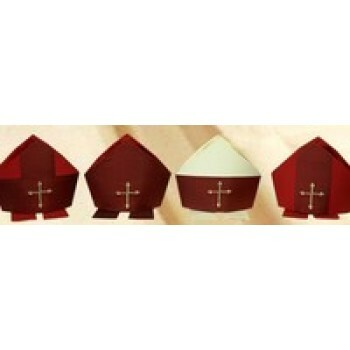 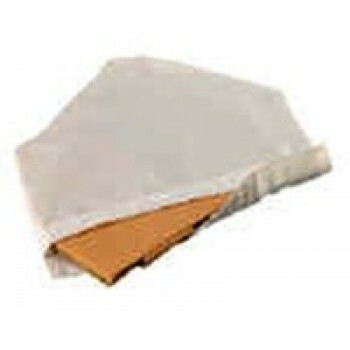 We carry basic white mitres, ornate mitres, colorful miters and more. 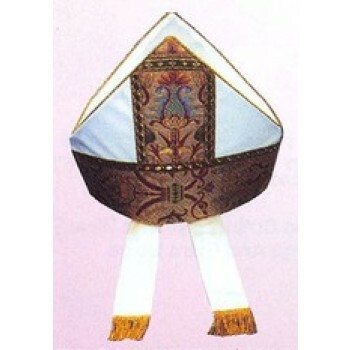 Embroidery, tapestry accents, crosses, doves and other religious symbols are common. 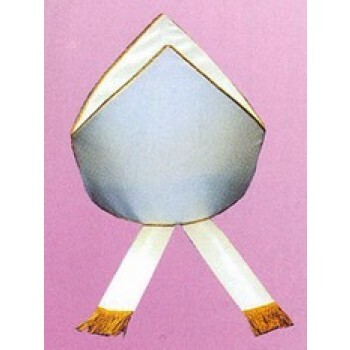 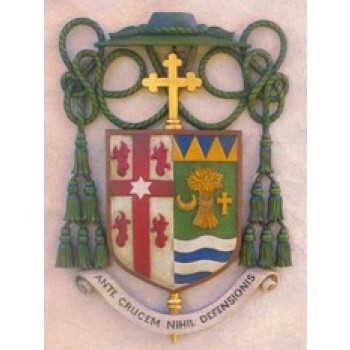 In certain faiths, such as Catholicism, the color of the mitre indicates its purpose. 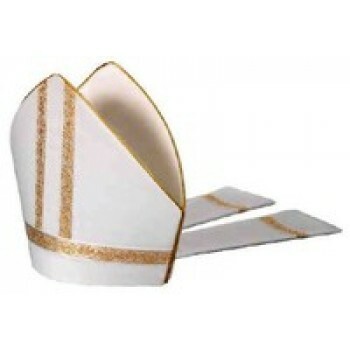 White mitres are reserved for funerals, Lent and Good Friday. 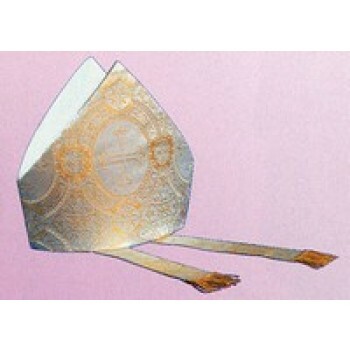 Pretiosa mitres are highly decorative and are usually worn on Sundays, except for on holidays or during Lent. 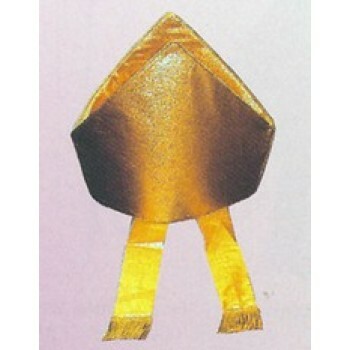 An Auriphygiata mitre is one that is made of gold or white silk and is worn when presiding over the celebration of the sacraments. 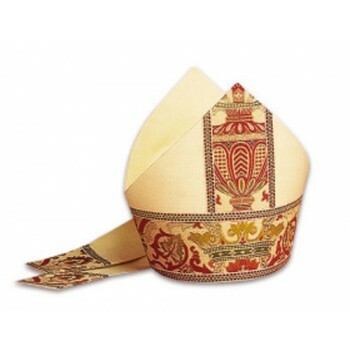 Whether you're looking for a basic single-color mitre or an ornate embroidered model, you'll find plenty of options to choose from at Matthew F. Sheehan. 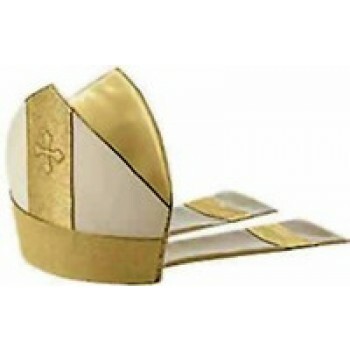 Our full selection of religious headwear is available for purchase through our website, but if you can't find exactly what you're looking for, please give us a call at 1-617-762-5208 and we'll do our best to assist you. 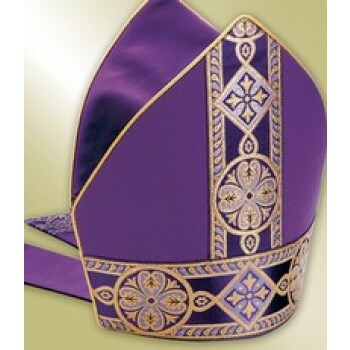 Matthew F. Sheehan has been in business since 1907 and is proud to offer high-quality vestments and church goods made by some of the most well-known names in the business. 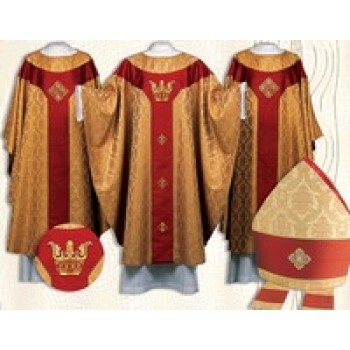 Browse our selection today to take advantage of our unbeatable selection, low prices and convenient shipping options.